Features more than sixty planting projects, with plant quantities, pot dimensions, and growing details for each. Excellent planting schemes for numerous types of containers. Lots of really great close up photos and very detailed planting schemes. 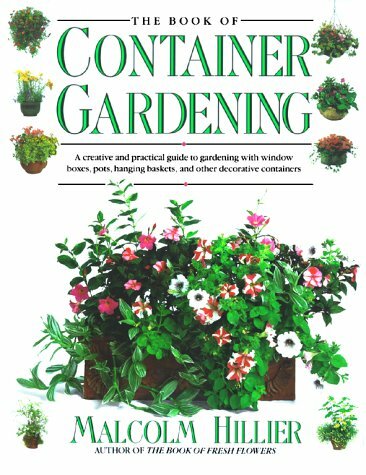 Book presented in sections dealign with planting in windox boxes, pots, low bowls, urns and jars, barrels and tubs, sinks and troughs and hanging baskets. Also has sentction on planting for site specific conditions (sunny, semi-shade, shade, exposed conditions). Series of planting plans for containers presented by season: spring, summer, autumn and winter. Fabulous close up photos of containers and detailed planting plans. Sections also on plant care and plant lists.